A Close-Up Look at China's National Education Strategy | Econsult Solutions, Inc. 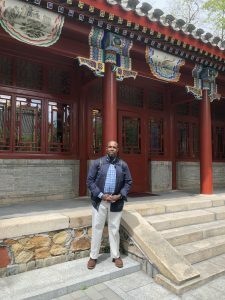 In April, I was fortunate to join the inaugural 10-person cohort of the UPenn Graduate School of Education’s Senior Leaders China Seminar, getting an intensive, up-close look at China’s national educational strategy. PennGSE’s 25-year partnership with the Graduate School of Education of Peking University (PKU), the Seminar host, led to forming this innovative exchange program that aims to dramatically increase the pool of academic leaders familiar with the role higher education plays in each country. We met and exchanged with a broad array of academics, students, administrators, and executives who described, explained, and lectured on China’s educational strategy. Our main host was a Stanford-trained economist, Min Weifang, who ultimately became the General Party Secretary for Peking University and served as an alternate member of the Central Committee of the Chinese Communist Party, and Former Party Leader Winghua Ma, responsible for leading PKU. Other speakers included representatives from the Ministry of Education, Beijing Institute of Technology, Dalton Academy at the Affiliated High School of Peking University, a special admissions college preparatory academy where students research, publish, and collaborate with college level faculty, encompassed in a flexible curriculum that encourages individual academic exploration and international post-secondary education. This experience was amazing and also startling, juxtaposed against other contemporaneous events: Shanghai Cooperation Organization (where President Xi Jinping’s ambitious Belt and Road program was presented); Association of Southeast Asian Nations; the Inter-Korean Summit meetings between Moon Jae-in, President of South Korea, and Kim Jong-un, Chairman of the People’s Republic; and a symbolic summit between President Xi and India’s Prime Minister Modi. The timing was coincidental, but somehow, I felt a connection to these world-shaping, China-powered events. 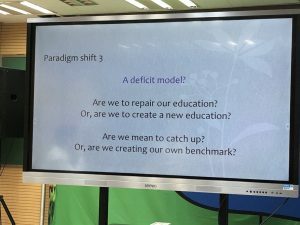 During the tour, I pondered if there is truly a shift in global influence to China, what role would its educational system play in the transformation? China expects to have 40 million undergraduates by 2020 (up from 34.5 million in 2016 and only 10.5 million in 1999) and is aiming for 50 million by 2020. China is striving — and succeeding — to enroll as many people as possible into post-secondary education. One would expect large enrollments given China’s 1.34 billion population. But, since only 19% of the total population is currently in the Kindergarten to College educational system, there’s a great probability that the enrollment goals will be exceeded. (Note: There are about 20.4 million undergraduates in the U.S.). Since 2001, there have been 1,022 universities created in China (now totaling 2,910 institutions). Think about that: a proliferation of academic destinations means a greater likelihood of access and graduation success. Educational quality could suffer with such expansion, but regularly we heard leadership embrace the proverb, “Cross the river by touching the stones”, i.e., purposefully gravitating from high speed growth to high quality growth to raise quality standards. See The Diplomat for more background. Furthermore, China is investing to establish 40 “world class universities”, like Peking University, by 2050 through the “Double World-Class Project”. World class universities are ranked by U.S. News and World Report for faculty quality, publication, research, and admission standards. Over 800,000 Chinese students are studying abroad, and that number could double in less than 7 years. University tuitions range from $400 – $2,200 per year. Increasing the amount of flexibility (liberal arts or open course design) for university students vs. the deterministic, highly-structured approach that commits students to certain disciplines. “Tailored, precise positioning”: recognizing the needs of the industrial/commercial complex and matching up those needs with the available supply and competencies of students. Size and Scale: Simply put, it’s unclear if China can educate as many people as it desires, in light of the huge number of underserved people. Infrastructural needs: The rate of new construction in China (8.5% annual increases in construction revenue from 2012-2017) is astounding, but the rate of depreciation in existing buildings and systems is noticeable. Will there be enough capital investment to solve for this difference? Dearth of teaching talent: We consistently heard that China needs teachers, especially those who are bi-lingual (Chinese and English). Developing a large enough talent pool will be daunting. Quality concerns: Rapid expansion of sites and programs may allow more access to the general public, but there are substantial concerns about whether the quality of instruction and content can be sustained. 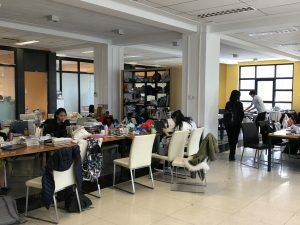 Looking backwards for role models: Chinese officials were prone to emulate the U.S. approach to education because American education has fundamentally improved the plight of its citizens, but we have definite inequities in terms of funding, facilities, and outcomes. Can China avoid lifting the fortunes of its people without exacerbating the disparities? The answer is unclear and uncertain. The American educational system — fragmented as it is — has many distinct advantages: we have more latitude, choice, and options. However, our Kindergarten – College pathways are built on “old” architecture: we deliver content, grade student progress, and rank schools following outdated thinking. 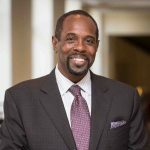 Our schools are not really responsive to inherent social, cultural or financial inequities, nor are they structured to meet the needs of the marketplace, as evidenced by the dearth of engineers, teachers, and data analysts. I know that we will not adopt a singular, unified, national strategy — that would be “un-American” — but I wholeheartedly believe that we should heed how China is intentionally embracing education as its “way forward”. Among other things, we should double down on investments in STEAM (Science, Technology, Engineering, Arts, and Math), reexamine how we hire and retain teachers, and immediately enhance funding to systems to eliminate inequities. More information on PennGSE’s Executive Doctorate Program can be found here. Dr. Leroy D. Nunery II is a Senior Advisor with Econsult Solutions and is Founder and Principal of PlūsUltré LLC, a boutique advisory and consulting company started in 2007 whose mantra of “Inspiration, Imagination, and Innovation” reflects its approach to enhancing the strategic and operational capacities of educational, non-profit, and entrepreneurial entities. Dr. Nunery is an Adjunct Instructor for Fels Institute of Government at the University of Pennsylvania.